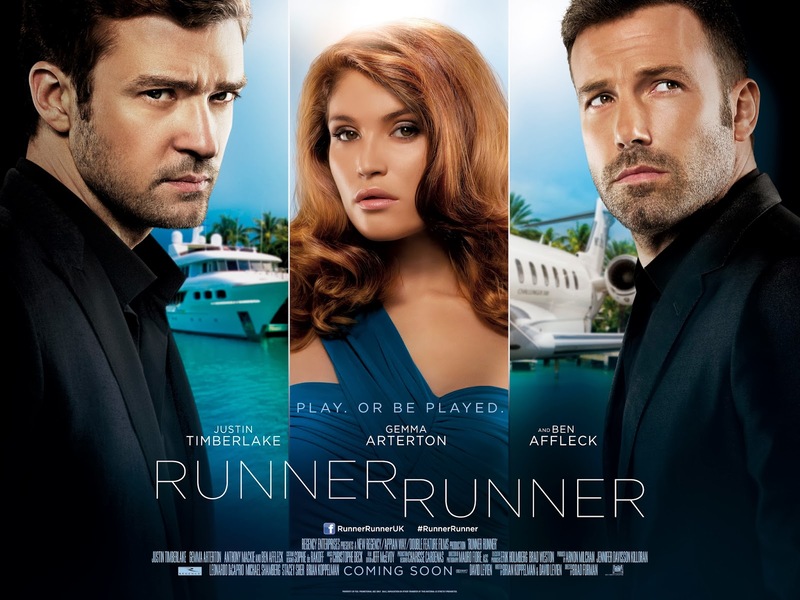 I'm going to start this review off by saying that Justin Timberlake is in way over his head (I'm not just talking about the character he plays) in Runner Runner. The first movie I ever saw him in was Alpha Dog and he was excellent you know, as a supporting player. Now, we have him occupying one of the lead roles (along with the effectively slumming Ben Affleck). I gotta say that watching this dude assist in carrying a feature length film can sometimes be very frustrating. If you can get passed the fact that he looks about 15 years old and deals with heavy handed thugs from Costa Rica (along with hard nosed, manipulative FBI agents), then Runner Runner might be your spiked cup of tea. 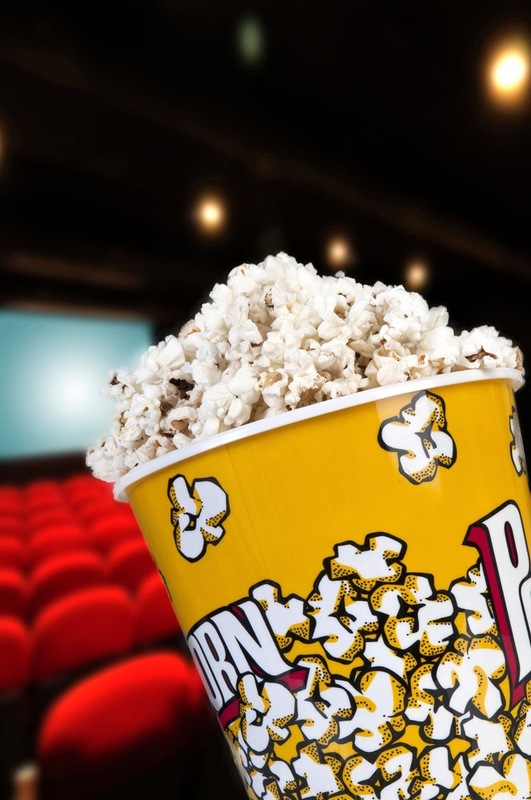 What we have here is a shallow, empty, and implausible farce of a movie (I find it hard to believe that the events that take place are rumored to be the make up of a true story) but somehow someway, an entertainingly bad one at that. Its director, Brad Furman, directs with a slickness equivalent to an oily racetrack. I've seen his last film (The Lincoln Lawyer) and I totally knew what to expect. Like "Lawyer," Furman supplicates Runner Runner with a juicy script (lots of zingers too), a nice brisk pace, and decent performances (even if the actors involved are a little miscast). This exercise is basically the movie equivalent of the best fast food you ever ate. It's not healthy (minimal nutritional value), it goes right through you, and usually it has extra cheese. I'm gonna hold my breath and recommend it though for its witty, smart aleckness in the script and its continued effort to get you the viewer, to like it no matter how silly things unfold. Like I said earlier, Timberlake strainfully appears to be in uncharted territory with the demands of his role (in this beautifully locale-furnished setting). But the phrase, "it's only a movie," is unequivocally on his side. Taking place in two different countries (two different climates too), produced by megawatt star Leonardo DiCaprio (maybe he wanted to stay away from acting in this thing and leave the duties to Timberlake, who is kinda the poor man's Leonardo DiCaprio anyway), and moving the plot along with total aplomb (within the first I don't know twenty minutes, everything is set in motion), Runner Runner tells the story of Richie Furst (apparent A-lister Justin Timberlake). He's a student at Princeton University who almost gets kicked out because of his association with on-line gambling (he basically turns other students on to it through his own site and then gets a cut when they win anything). He can't pay his tuition without this money he earns so he decides to do one last game on his own. He does this in order to make a profit of $60,000 (that should cover everything for one year. Wow college is expensive). When he gets cheated by an off shore con artist name Ivan Block (played with a slimy urgency by Ben "I don't look like a guy named Ivan" Affleck) and loses all of his supposed winnings, Richie gets on a plane and boom, confronts the cheater (self made millionaire) asking him for his money back. Ivan returns his winnings but also wants Richie to stay in Costa Rica and work for him (of course, without this plot element how could the movie go on). From then on, Runner Runner almost completely leaves the online poker element and goes straight into the fallible world of marginalized greed and deception. To give things some added dramatic heft, Timberlake's Richie is also being followed by an FBI agent named Shavers (played by Anthony Mackie who steals all the scenes he's in and creates a character you keep wanting to see). Shavers wants Richie to help him take Ivan down. If he succeeds, he won't go to jail and get back safely to the states. Throughout the film's moderate length (an hour and a half plus change), I was fitfully entertained (not by plausibility but by sure dimwittedness). The ending, well that was my favorite part. Let's just say that the film's conclusion although a little twangy, will have you frolicking in your seat (possibly laughing heartily as well). When it's all said and done though, Runner Runner is kinda predictable (the trailer pretty much explains most of the movie. The rest you can easily figure out on your own) but it's fun, breezy, and downright cheeky (especially when you have Mackie delivering crackling dialogue every time he's on screen). Honestly, just when you think things might head downhill, this film picks up the pace and willingly takes you with it. It's definitely not a movie going experience you would (or should) take seriously (there's a lot of times when I thought to myself, "yeah right"), but if you (gulp) decide to take a chance on Runner Runner, you just might like it like it.